Endeavour has won the right to make a launch attempt on June 17 (Wednesday), following NASA discussions relating to the schedule priorities of the Eastern Range. 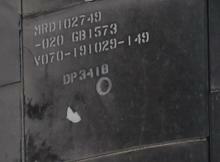 The decision was made easier thanks to good progress on replacing hardware on External Tank ET-131’s Ground Umbilical Carrier Plate (GUCP), as engineers work around the clock to “safely and deliberately correct the problem”. The decision, made by the Space Operations Mission Directorate (SOMD) team – led by NASA Associate Administrator Bill Gerstenmaier – was always the preferred option, bar any serious schedule hits relating to the replacement of the GUCP seal and Quick Disconnect (QD). Prior to the scrub, NASA’s Lunar Reconnaissance Orbiter (LRO) – set to launch on a United Launch Alliance (ULA) Atlas V (AV-020) from Cape Canaveral – held the range from the 17th. The new plan moves LRO to launch options on the 18th through 20th. Should any issues arise with STS-127 during tanking, the early scrub would aid LRO to move up to the 18th, given the Atlas V is scheduled to launch in the evening, thus allowing for additional time to reconfigure the range. The alternative option of moving STS-127 to the 20th – allowing the range to be reconfigured for LRO’s original launch window from Wednesday – reduced the sum total of launch options during the week. A team of engineers, most of which are affectionately known as “Pad Rats”, have been ably working through the shifts to replace the GUCP QD and seal. 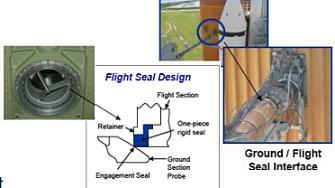 Following the similar leak on STS-119, this replacement procedure has proved to be successful. “S0007 Launch Countdown Call continues to proceed well per timeline. Critical Milestones: At 0020 EDT June 13th the Launch was scrubbed due to an excessive hydrogen leak at the ET GUCP. Update: GUCP QD/flight seal final retorque is in work. Shim installation is complete,” Monday processing information on L2 noted, adding that the replacement seal – one of six available – is classed as “flawless”. While SOMD made the call on the range priority, the Mission Management Team (MMT) waited until the range requested instruction, in order to have the most up-to-date information on the ongoing GUCP work – which won’t be completed until Tuesday morning, via leak checks. Once the GUCP work has been finalized, preparations will be made to resume the S0007 (Launch Countdown) at the T-11 hour mark, with tanking taking place in the evening. The only other issue that was worked on the stack related to an oil leak from what appears to be one of the Tail Service Masts (TSM). The leak was not serious, but was spread over a large area of pad – and orbiter – when a storm passed over the launch complex. However, the condition of the orbiter’s TPS (Thermal Protection System) has since been cleared as acceptable for flight. “HYD fluid leak dripped/splashed onto the Orbiter near TSM. Inspection showed hyd fluid on elevon/aft stub,” noted a report on L2. “A fluid sample was collected and the contaminated areas are wiped with IPA (isopropyl alcohol). “Evaluated the sample and determined that the contamination is NOT hydraulic fluid but is in fact a Hydrocarbon Oil. “Per spec, hydrocarbon and synthetic fluids and greases that have not absorbed below OML (Outer Mold Line) coating/fabric are acceptable once cleaned per the approved (specifications). 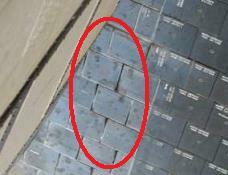 Also noted was a small area of damage on one of Endeavour’s tiles associated with her left hand RCC (Reinforced Carbon Carbon) TPS, found by the Ice Inspection team during their post scrub walkdown of the vehicle. “Tile damage found on the V070-191029-149 tile (two tiles forward of L/H RCC 1), approximately 0.5” in diameter and coating only (around 0.03”),” noted and associated log report (L2). It is common for small areas of TPS damage to be found ahead of launch, with the importance of logging such observations providing useful records to the DAT (Damage Assessment Team), so they can dismiss the area of interest as new damage during their evaluations into imagery gained on orbit. STS-127 can launch without a root cause for the tank leak being found, much like the scenario with STS-119’s turnaround from the leak on ET-127. However, finding a specific problem with the hardware would allow for the mitigation of leaks on downstream tankings. With the old QD and seal now removed from ET-131, engineers have been able to inspect the hardware for issues. As of reports filed on Monday, nothing significant has yet been found. It was, however, noted that small gaps were observed on the right hand side of the seal, prior to its removal. This may have been caused by one of a number of issues – which will be investigated by engineering teams. Firstly, the GUCP may have been “jostled” via its numerous mate/demates as part of the STS-400 LON (Launch On Need) support role for STS-125, which most recently saw the tank’s GUCP mated on Pad 39B, before the stack was moved and remated with Pad 39A once Endeavour moved to her primary STS-127 role. Because the seal is a hard teflon ring with no resiliency, the seal presents a sharp corner edged to a smooth tapered metal probe. Any bump, dent or mis-alignment of the probe during installation could result in a leak caused by damage to the teflon edge on the seal. Such an incident may also be related to another candidate for the cause of the leak, relating to an issue with the GUCP hardware’s installation inside the Vehicle Assembly Building (VAB) – as noted by Lockheed Martin’s External Tank presentation to the Agency Flight Readiness Review (available on L2). The presentation went on to note that the entire GUCP unit was removed and different unit installed – however, the interference remained. 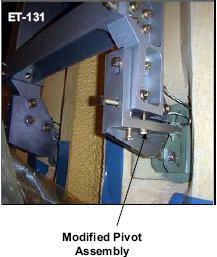 Visual inspections also indicated a slight misalignment of carrier plate with panel cut-out. Interestingly, the previous incident relating to problems with the GUCP installation inside the VAB came ahead of STS-119 on ET-127 – which also leaked during tanking. However, if the two incidents prove to be related to a leak during tanking, there will be added confidence that the R&R being undertaken at present will result in a smooth tanking for the second launch attempt. The major question which remains as to why the seal still leaked, following the confirmation of a good alignment after VAB troubleshooting, also the news that the seal appears to be in a reasonably good condition – following inspections after its removal on Sunday. This will all be taken into account during the subsequent investigation, while hopes remain high that the new QD and seal will protect against another leak on during the tanking on the second launch attempt.